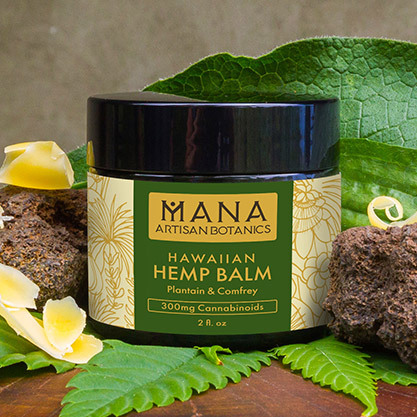 Mana Artisan Botanics, Hawaii’s premier wellness-driven hemp company, handcrafts phytocannabinoid-rich products for endocannabinoid system (ECS) support. 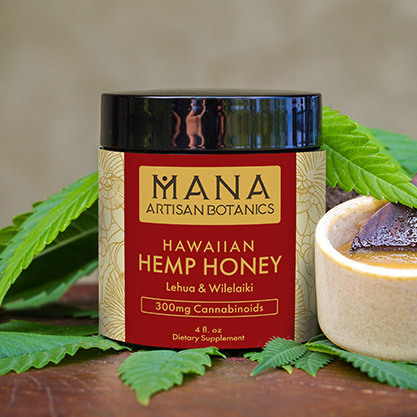 We offer artisanal, whole-plant hemp extracts infused with pure Hawaiian botanicals—nature’s mana. 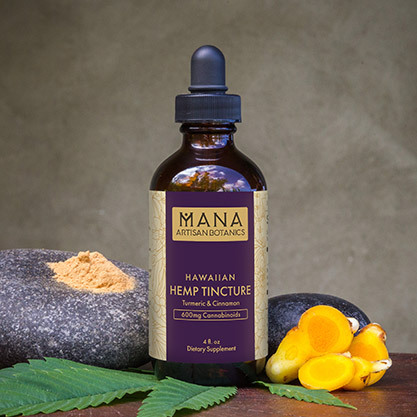 Mana Artisan Botanics uses only full spectrum whole plant extract from certified organic, high-CBD cannabis hemp. 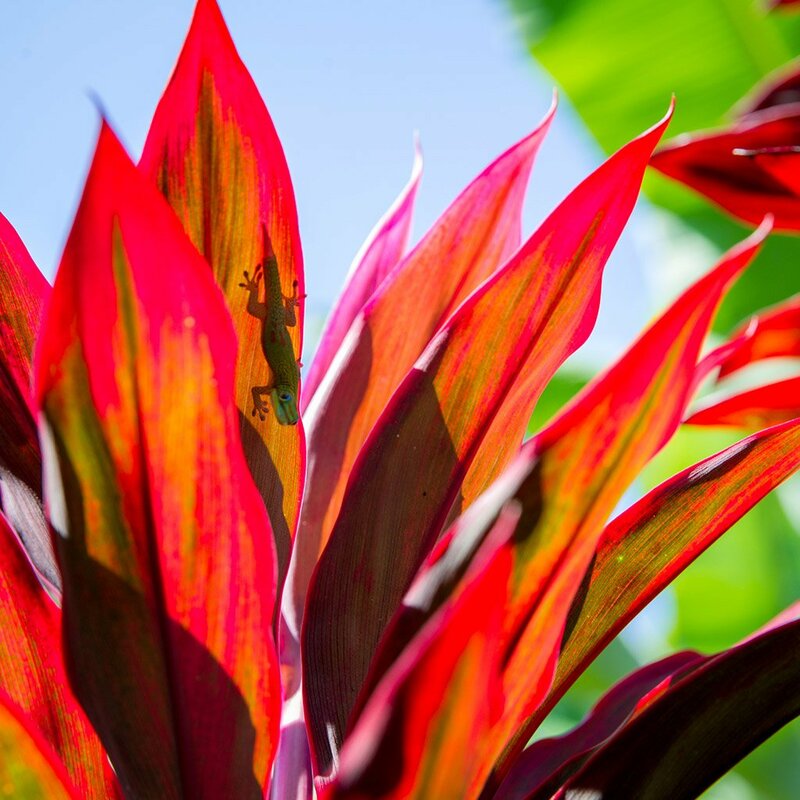 Our infusions are produced using either C02 or traditional tincture alcohol extraction methods. 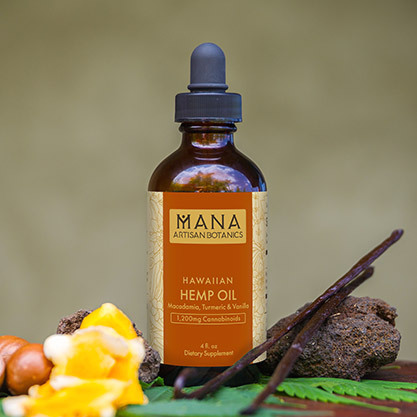 Mana Artisan Botanics products are tested at multiple lab facilities such as Steep Hill Labs Hawaii and Hawaii Pharm labs for cannabinoid levels as well as pesticide residue, heavy metals and other contaminants. State of the art testing methods are utilized and THC levels are guaranteed to be under the legal limit of 0.3%. Lab results are available by request.